Ok, summer, we get it! You start tomorrow!! Now that it feels like it's gone from -12 degrees to 95 degrees in no time, here are four quick dishes to consider this summer in Philadelphia. High Street on Market, next door to and run by the same folks as Fork, serves up a few different egg sandwiches weekday mornings and weekends all day. 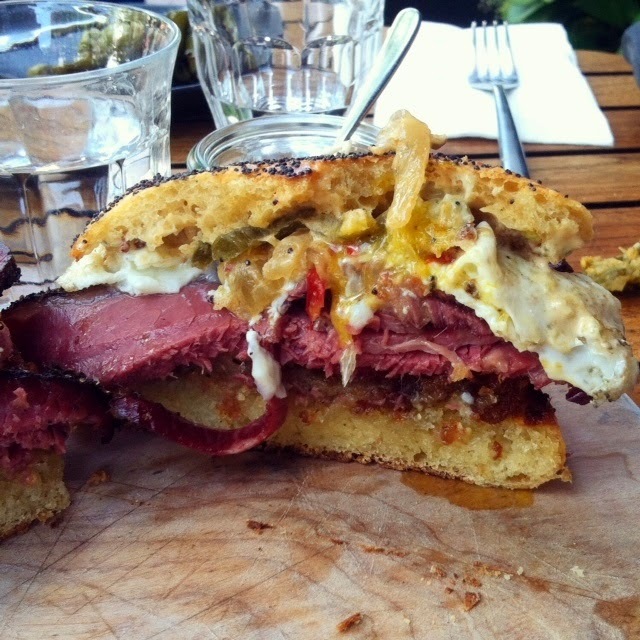 Get over your summer nights hangover with this, the Pastrami & Hash ($9.50) with shaved pastrami, spiced hash, roasted peppers & onions, farm egg and Russian dressing on delicious homemade bread. Just ask for extra napkins, because it's messy. Also try the Hickory Town with Lancaster bologna, farm egg, Amish horseradish cheddar, gherkin mayo and fried red onions, which we have to get next time. Obviously this sandwich was amazing. I mean, just look at it. I never thought I'd get excited for a Wedge, but Entree BYOB in the South Street West neighborhood serves up a killer Wedge Salad. Rest of the food there was average (Bradd thinks subpar) and a little expensive for a fixed price meal, but their cherry tomatoes, grapes, crispy prosciutto, glazed walnuts and blue cheese dressing are a delicious combo. We've been replicating it at home. Makes me anxious for our own tomatoes to grow. El Rey is a solid standby all year round. 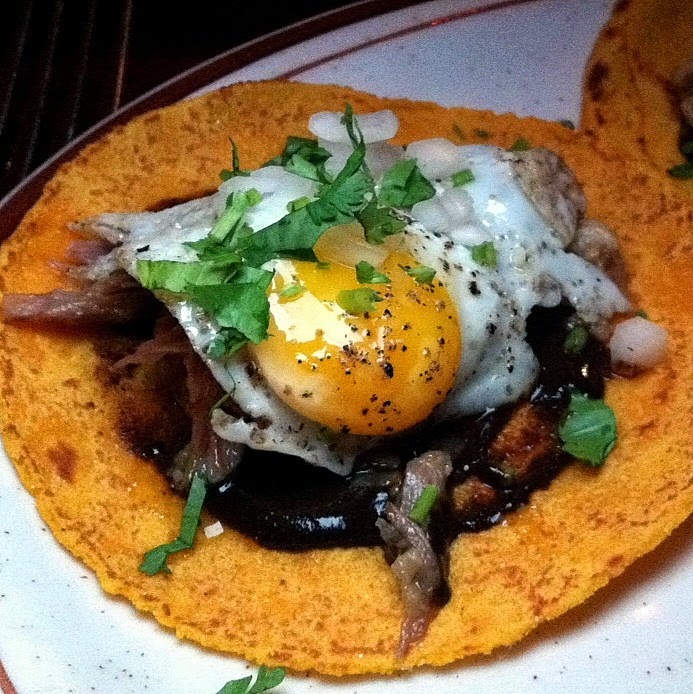 Next time it's 90 degrees + 90% humidity and no margarita is worth sitting outside for, El Rey is a good indoor Mexican option with finds like these duck tacos - each served with a little quail egg on top. I was not expecting that from a pretty casual and mid-range restaurant; it hit the spot after happy hour. Also, I'm big fan of their guava margarita now. Nice deviation from the more common flavors. 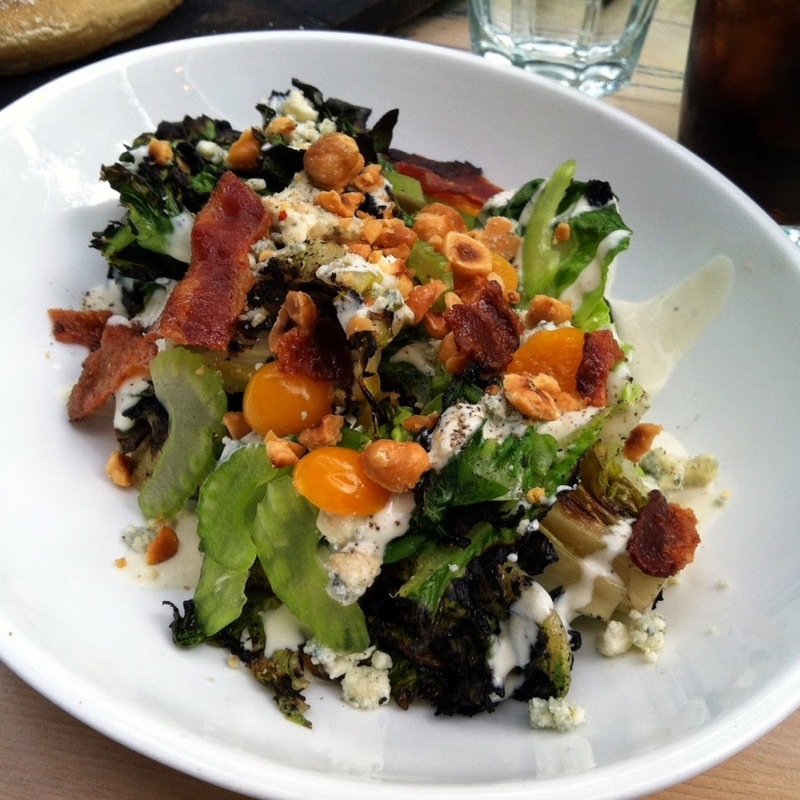 Another good salad pick: the Grilled Gem from Pub & Kitchen. Lettuce, blue cheese, husk cherries, hazelnuts, bacon and I think I see some celery in there? Nice, light option for $10 to kick off your summer dinner out on 20th Street. It's usually not that hard to get a sidewalk table.